If you’ve been looking for a Class B touring motorcoach for sale, but have been holding off, boy have we got a deal for you! We’re offering closeout pricing on the 2017 Winnebago Paseo 48P an impressive, high quality motorhome that promises to get you to your destination in no time and full comfort. Learn more in our Winnebago Paseo 48P review. 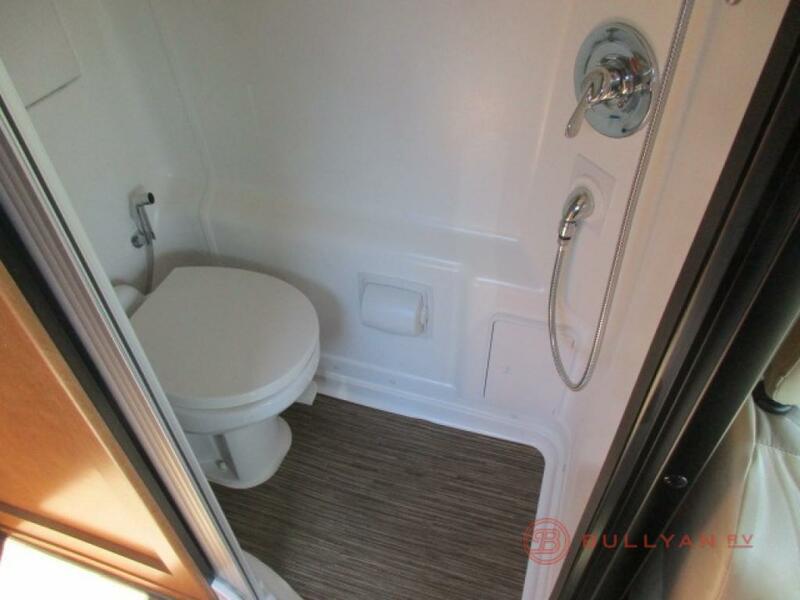 The wet bathroom was designed to provide a comfortable space, so you don’t have to bother using the space at whatever campground you’re staying at. While most Class B motorhomes have smaller kitchens, you’ll appreciate the unique storage solutions in the Paseo, as well as the well equipped appliances. The large bathroom offers you a private space so that you don’t have to bother with using a campground’s bathroom. The large dinette located at the rear of the RV was designed to accommodate you and keep you comfortable. It’s located next to the rear doors, which open to allow you to enjoy the great outdoors while you eat a great meal. You will absolutely love the spacious interior of the Paseo. It accommodates two people and boasts a large dinette that converts to a bed. A flip out table is situated at the front of the RV behind the passenger seat, and can be used to accommodate the passenger while stopping for a meal or just hanging out. This RV was designed for couples to travel comfortably together and offers you a delightful experience through all stages of your adventure. Getting to your destination is half the fun in the Paseo 48P. In fact, this cockpit offers you a driving experience that’s second to none. Travel is a breeze when you’ve got swivel seats that are plush and inviting. The powerful 3.5L Ecoboost V6 engine is powerful, yet fuel efficient and will get you to your destination in no time. 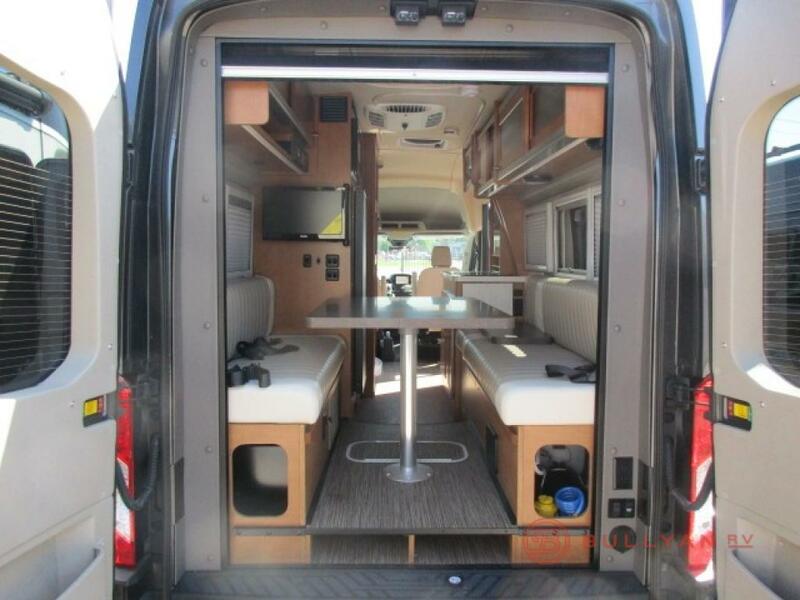 If you’re interested in learning more about the Winnebago Paseo 48P for sale, contact us. We are here to help you enjoy your RV search and find the best RV for your needs. We can also assist with RV financing.